Does Menopause Cause Midlife Crisis? If you've reached your forties and find yourself moody, irritable, and easily irritated with a very short fuse, chances are you've arrived at the beginning of menopause. If you're asking yourself "what is going on?" and trying to reassure yourself that this isn't you, an alien force surely has taken over your body, you're probably in the beginning of menopause. If you're just plain not happy about entering menopause, questioning where you are in your life and wishing you could start over, you're not alone. 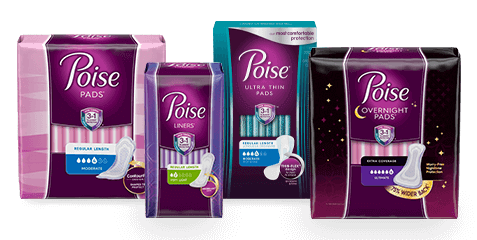 There are over 50 million women in the United States somewhere between the ages of 40 and 50 who are asking the same questions. As if the physical changes that menopause brings isn't enough suffering, the emotional changes can also prompt us to ask ourselves important, heartfelt questions. These questions might be "Am I happy where I am in life? ", "Am I living the life I want?" or "Have I compromised too much to make others happy?" Not all women are excited about having their lives turned completely upside down and prefer not to be introspective. Instead, they would much prefer to be back to their pre-menopause selves and have all the physical and emotional symptoms just go away. One thing is for sure no matter which road we take, many of us feel that we are in a full-blown Midlife Crisis. Although the many changes that menopause brings, both physically and emotionally, feel like a crisis, there's a logical explanation to why we're feeling so out of control. In addition to a major hormonal shift, menopause is a psychosocial passage. The purpose of any life passage is for reflection and growth. So naturally we begin to question all areas of our life. Are we happy in our love relationships? If not, what can we change? Do we enjoy our work? If not, is there something different we would like to do? Are we speaking up and using our voice to communicate our needs and wants to others, instead of continually stuffing our feelings? Are we living a balanced life that includes time for ourselves, as well as time with others? By taking the time to ask ourselves these important questions, we regain a sense of control over our lives. The beauty about the menopause passage is that, through the havoc it causes to our body, it forces us to take an important look at ourselves and our life. And fortunately, it happens at a time in our life when we still have the energy and desire to make the changes that are needed. The areas that need the most attention will magically appear. For example, due to the demands of family and career you may have neglected your health and fitness and now notice you have a few extra pounds you would like to take off. In addition, if you are finding that you are feeling more overwhelmed than usual - shifting hormones will exacerbate this feeling - you may realize that the yoga and meditation class a friend suggested is now calling your name. Relationships with significant others, friends, children and colleagues may feel more challenging than usual. With hormone shifts, you may find that you feel more emotionally sensitive and conversations or remarks that used to roll off your back are now difficult to shake. Many women find themselves reevaluating friendships at menopause. We no longer just put up and shut up to get along, we actually start speaking what's really on our minds. This is a positive shift, particularly if we've had the tendency to stuff our feelings for the sake of keeping the peace. Due to divorce or death of partners, many women are alone at menopause without a significant love relationship. And even though we have been living alone quite successfully for a while, and due to work pressures, have put "finding a new partner" on the back burner, menopause nudges us along to take the plunge and put having a significant other in our life a major priority. This decision can be a "two-edged sword." The changes that menopause forces on our body and emotions may also affect our self esteem causing us to feel less attractive than younger women. If we let it, it's easy to feel depressed and hopeless. It's very important that we don't listen to these thoughts. Baby Boomers make up the largest segment of our population. There are many men wanting to have a significant love relationship in their life, too. And believe it or not, most men want to be with a woman to whom they can relate, a woman with whom they can share similar life experiences and interests. So, if the menopause transition has forced changes to your body that are challenging, don't let that stop you from going after what you really want. Just like puberty, menopause forces us into a new direction in life. Priorities change from creating and nurturing a family and career to nurturing ourselves. After the hormonal shifts settle down and your emotions are stabilized, you will have renewed energy to explore what you now want to create in your life. Our outward appearance may have changed, for sure. Life and aging does that, though inside us is a new woman, wise from previous life experiences with many dreams and desires for a new life ahead. Go ahead and let yourself think about all the dreams that you promised yourself that one day you would accomplish. And remember time is still on your side. So the question becomes if not now, when? Your life is waiting! 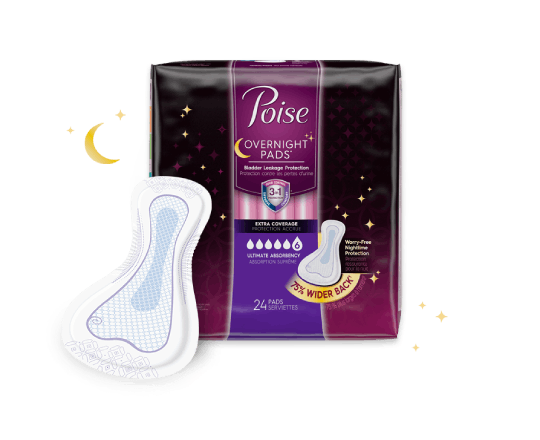 Exercising Your Inner Core Are Poise<sup>&reg;</sup> pads unscented?